There's more here for watch fans than data lovers. If there's one thing the Nokia Steel HR has over the Fitbit Versa, it's elegance. While Fitbit has been working tirelessly to get the right combination of smart and watch in its wearables, it has yet to launch a model that rivals the Nokia Steel HR’s classic looks. The hybrid watch looks like a standard analog timepiece and blends seamlessly with whatever you’re wearing, while still offering fitness and heart-rate tracking information via a small, discreet digital screen right on its face. It’s a far cry from the chunky style of traditional fitness trackers. The design so deftly blends aesthetics and data collection together that I’ve been tempted more than once to replace my Fitbit Charge 2. I won’t, though. While Nokia has made plenty of updates to this rebranded Withings Steel HR, the changes haven’t fixed the biggest issue with the original: inaccurate fitness tracking. A problematic margin of error is a real shame, since Nokia’s retooled watch retains the Withings Steel HR’s solid collection of features. Automatic tracking still headlines the set, with heart rate, steps, distance, calories, walking, running, swimming, and sleep all recorded. Nokia says it now uses a new algorithm for heart-rate tracking to provide more accurate readings, particularly during workouts. 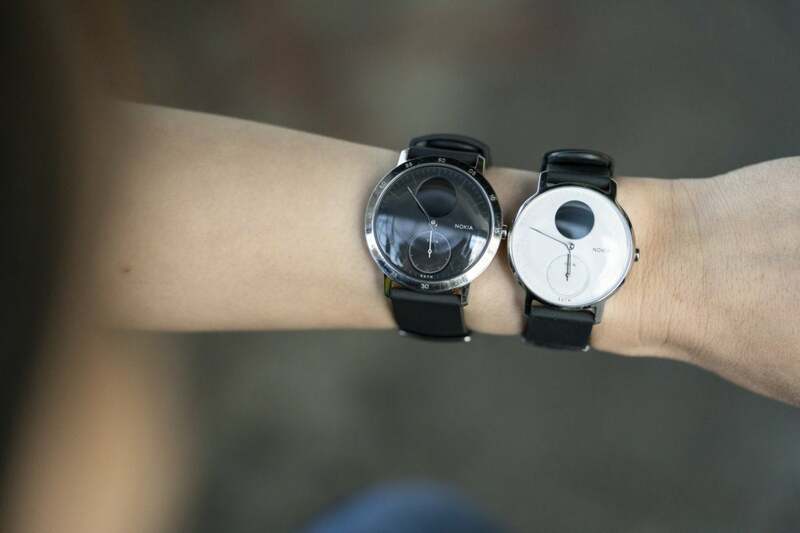 The company has also rebuilt the watch case, which seems to have addressed the complaints of condensation forming in the Withings Steel HR—if you trust anecdotal information on forums and Reddit. You can manually track continuous heart rate data as well, which is started by long-pressing the crown on the side of the watch. The Steel HR will vibrate and then display the amount of time that’s passed while monitoring heart rate. This option is ostensibly for tracking workouts, but I found it most useful as a stopwatch of sorts. Nokia’s rebuild of the Withings Steel HR’s case includes a sapphire-glass covering over the heart-rate sensor. Between its number of tracked activities, water resistance (up to 50 meters), and price of $180, the Nokia Steel HR is very competitive—in fact, it’s even a little cheaper than similar hybrid watches. The quality of its data, however, keeps it from being a knock-out winner. I tested the watch for almost two months (about a month each for the 36mm and 40mm sizes), and by the end of the third week, I had stopped placing much stock in the readings. I couldn’t figure out a predictable pattern in the exercise sessions it auto-detected and recorded, nor why. A run on an elliptical machine completely would miss the Steel HR’s notice, but standing at my desk once registered as five minutes of running. (I make hand gestures while talking, but nothing close to the movements made when actually running.) A few times, Nokia’s Health Mate app informed me that part of my daily shower counted as swimming. For the data that did match the activity I’d done, the quantity was generally under- or over-reported—though with a fairly consistent pattern. For amount walked in a day, the Steel HR misgauged the distance by about twenty percent relative to the actual mapped route. Heart-rate tracking often put me at 20 beats per minute higher than my true rate while exercising, and on occasion during sedate activity or while at rest. As for sleep data, I often got credit for a full hour or more of “sleep” when lying in bed and reading quietly or using my phone. The Nokia Steel HR comes in two sizes: 36mm and 40mm, with the option of either a white or black watch face. The case is available in silver or rose gold. But while the discrepancy between the Nokia Steel HR’s data and my actual daily activity is disappointing, I can’t say it's a fatal flaw. It wouldn't be fair—no smartwatch or fitness tracker I’ve used captures data accurately. All of the other devices that I've used (Moto 360; Pebble Round; and Fitbit Flex, Zip, Alta, and now Charge 2) exhibit a margin of error. The difference is that the dedicated fitness trackers came much closer to the mark—the Fitbit Alta and Charge 2 have been particularly good at tracking how long I sleep. More importantly, they’re all predictable. For example, my Charge 2 so rarely detects when I’m on an elliptical machine that I’ve long since given up on Fitbit auto-tracking my sessions. Instead, I keep track of that manually, and so I don’t worry about spotty data throwing off my averages or misrepresenting my efforts because a third-party system failed me. 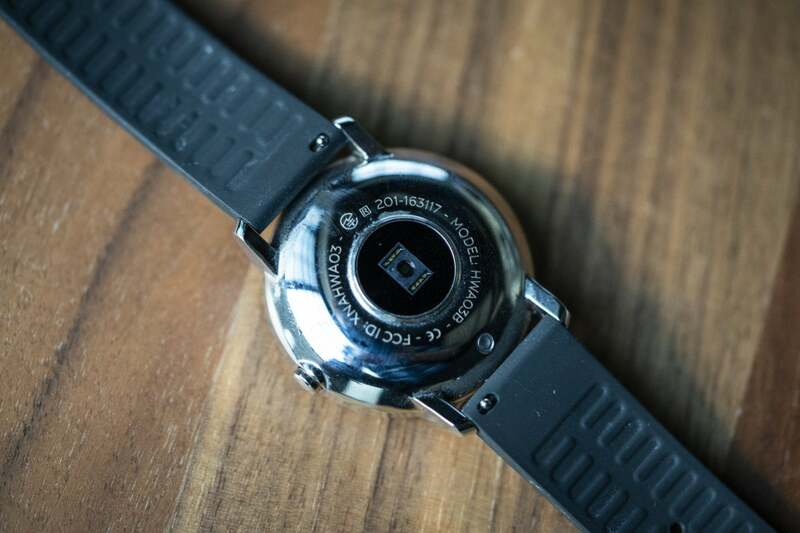 So instead of regarding the Nokia Steel HR as a failure, I instead see it as falling more on the watch side of its pedigree: an accessory with classic looks that can also tell me if I’m active or not. If I were already prepared to spend $150 on a nice analog watch, an extra $30 for the digital features would be an easy upgrade, particularly since so few fitness trackers properly fit my small wrist. Few fitness trackers last as long as the Nokia Steel HR, too. On a full charge, I easily got the estimate of 25 days with both sizes of the watch—and each lingered on for a while even when battery life dropped to a single digit. My usage throughout testing was steady, with several short workouts per week and my usual amount of walking (about four miles) per day. Recharging the watch is fairly quick as well: Going from a single-digit percentage to a full charge takes less than two hours. Placing the watch on the charger is less frustrating than with the Withings Steel HR; the charger has been redesigned for the Nokia Steel HR, and it also uses a stronger magnet. I didn’t fuss at all over lining up the connectors, though I did find that I had to lay the charger on a flat surface for the watch to stay in contact and remain charging. You can cycle through information on the display by pressing the watch's crown. Given how small the Nokia Steel HR’s screen is, though, the battery life doesn't come as a complete surprise. More impressive is how the display integrates into the watch face, and how tidily it gives information. 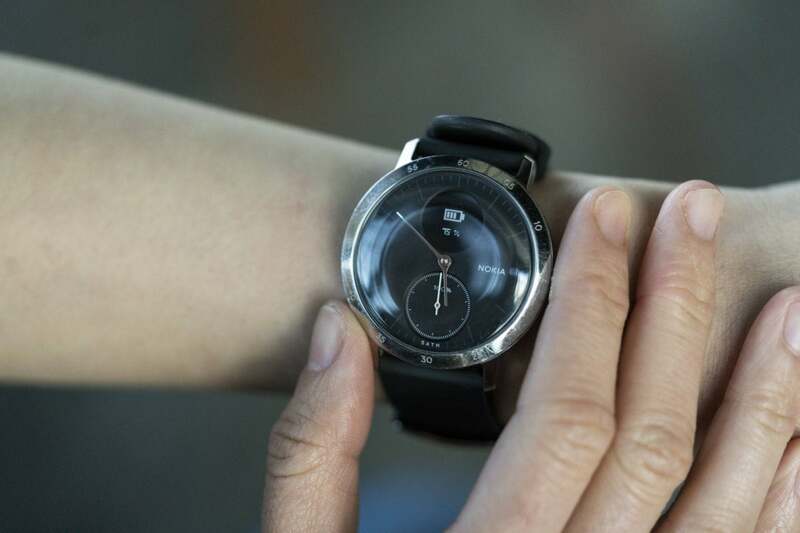 Nokia has paired a comparably sized analog dial with the small, round screen—the analog dial serves as a quick indicator of progress made toward your daily step goal, while the digital display allows you to page through date, time, heart rate, number of steps, distance traveled, calories burned, and remaining battery life when pressing the watch’s crown. You can also opt to receive call, text, and calendar notifications from your smartphone, though they’re not nearly as informative as a regular smartwatch. Rounding out the experience are Nokia’s mobile Health Mate app and web-based dashboard. Health Mate displays all of your activity in a streamlined manner, but it’s easy to parse the data thanks to a simplistic list format. The web interface is much better for accessing historical info, as it loads your personal stats automatically as you keep scrolling through the entries. All said, I preferred Fitbit’s mobile app over Nokia’s, but Nokia’s desktop web interface is better than Fitbit’s. 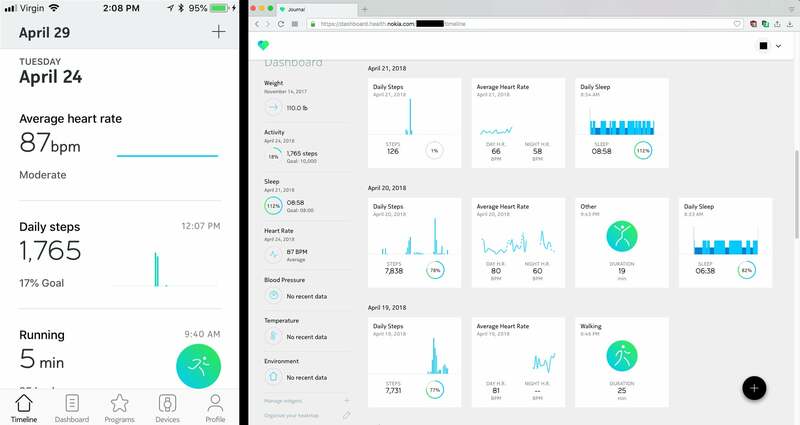 Nokia's Health Mate mobile app (left) versus its desktop dashboard (right). The only real quibble I had with the physical design of the watch was the default silicone band—after wearing the Steel HR for several days in a row, my wrist would itch until I took it off completely and let my skin breathe. I wasn’t able to test my reaction to the optional leather bands, since even the version designed for the 36mm watch was too large. But this was a minor issue, since both the 36mm and 40mm Steel HR are compatible with standard watch bands (18mm and 20mm, respectively). I could have easily switched to a metal band or other style that I know is less irritating for my skin. Should you buy a Nokia Steel HR? Nokia's revamp of the Withings Steel HR go beyond merely the cosmetic, but the lack of updates to its tracking algorithms make for a device that will appeal more to watch fans than data lovers. Given its good looks and otherwise smart design choices, it's a pity that Nokia can't put up a real fight when pitted against dedicated fitness trackers such as the Fitbit Charge 2 or Fitbit Versa. 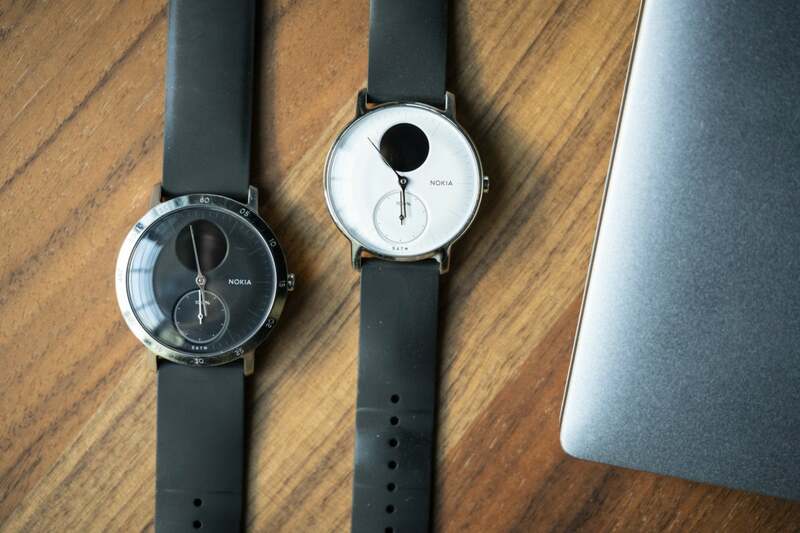 However, now that Nokia's selling its digital-heath business back to the co-founder of Withings, perhaps there's hope for a third, re-rebranded Steel HR with improved fitness tracking.